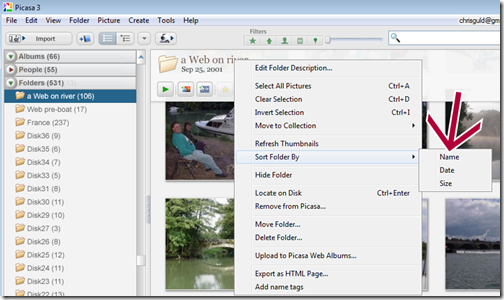 web albums – Learn Picasa and Google Photos! Just because you want to share your photos on the web, it doesn’t necessarily follow that you want people to take them without giving you any credit. Yet, that’s exactly what can happen, oh so easily. Any picture you see on the web can be ‘grabbed.’ Then it can be used by others who may even claim that the picture belongs to them. Although there are some techniques for preventing copying of your photos, the best you can usually do is to add a ‘watermark’ to the photo itself. The watermark is text which lays on top of your photo and at least identifies it’s source. 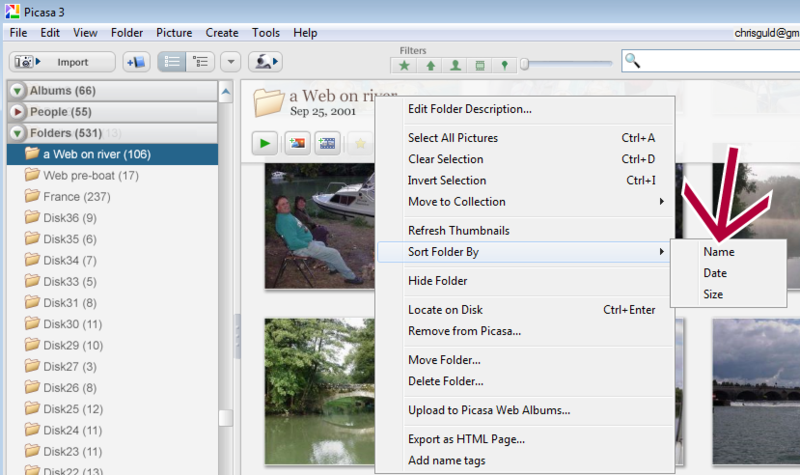 Picasa 3 now offers the ability to add a watermark to every photo uploaded to your web albums. 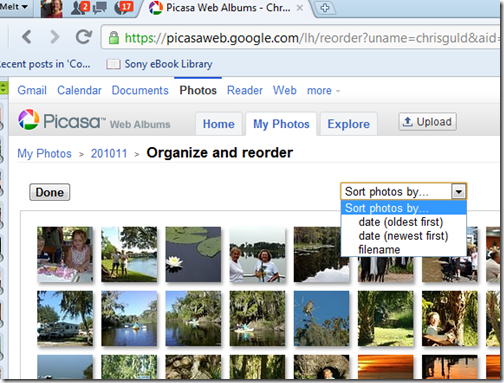 Don’t know about uploading pictures to Picasa Web Albums? Here’s a member Tutorial Video Intro to Picasa Web Albums. 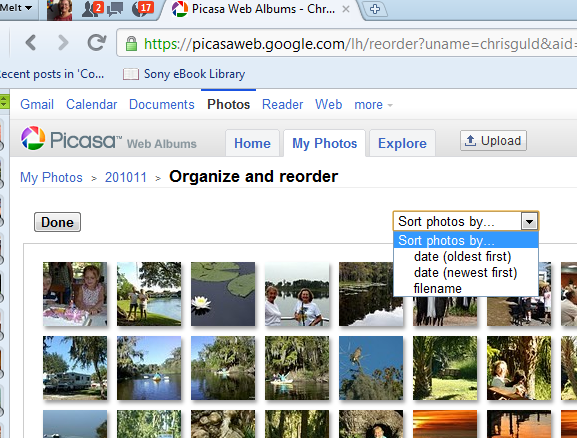 After completing this setting, every photo you upload to Picasa Web Albums will include the Watermark you specify. This is a great feature, but it’s not perfect. The watermark is small and printed in the lower right corner. So, if someone wanted to steal your photo, it’s still an easy matter to crop off that bottom line. If your goal is primarily to include a notice with your identification. This is a wonderful new feature. Just turn it on once, and you’re done. The watermark feature is also available anytime you Export pictures – just check the ‘Add a Watermark’ box and write whatever you want. Receive notice of every new Picasa tip by signing up for our Picasa Tip-o-the-week Email. GOT Class? Become a member of our Geeks On Tour online classroom and learn from our tutorial videos and members forum.